FORAN – Easy to use, cooling and soothing leg clay with tea tree oil - 1.5, 4, 8 or 14 kg. Suitable for all performance horses after hard work. 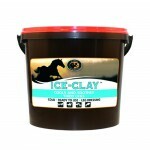 ICE CLAY, a ready-to-use, moist, cooling and soothing leg clay with tea tree oil. Ideally applied post exercise, this clay rapidly cools by dissipating heat and thereby easing discomfort. ICE CLAY cold therapy is of immediate benefit to "hot" areas and injuries and helps reduce swelling, pain and inflammation. 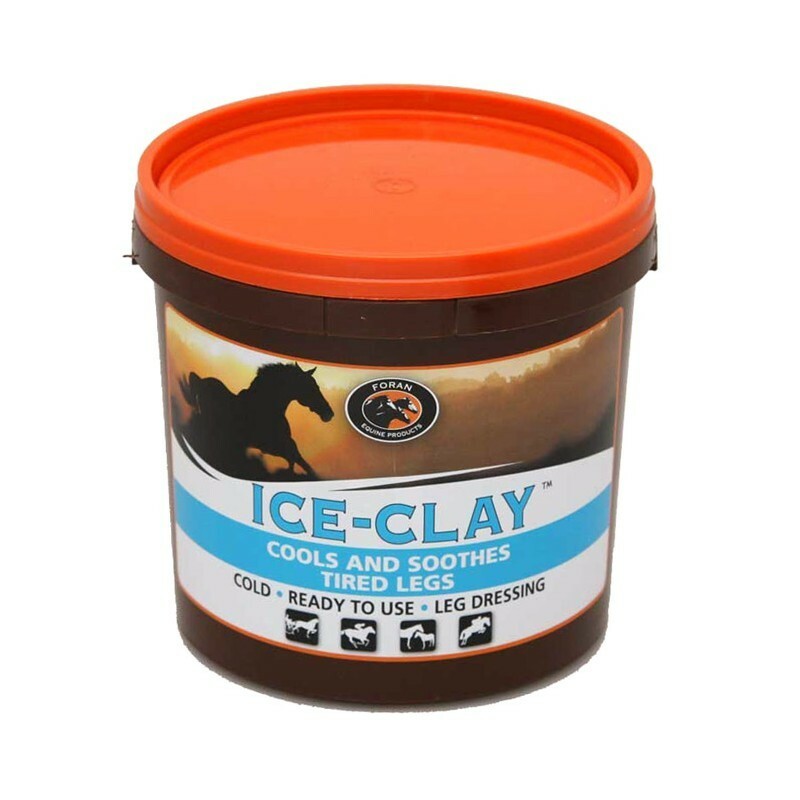 ICE CLAY contains the natural antiseptic, tea tree oil. 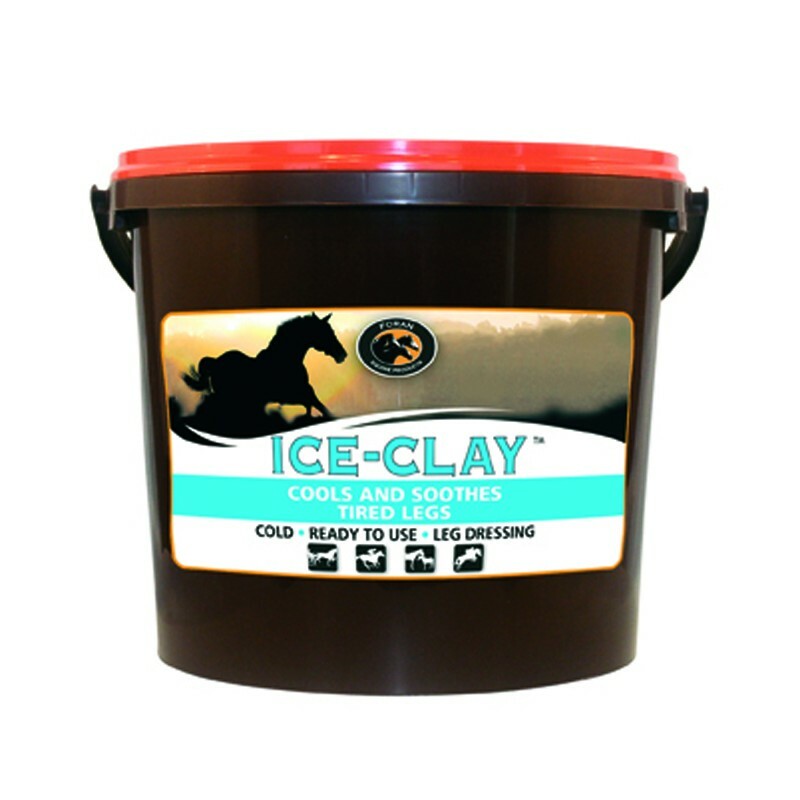 ICE CLAY soothes areas of bruising, tendonitis, bucked shins, bowed tendons, bog spavin, capped hocks and splints. Instructions for use : Apply a thick layer of ICE CLAY to clean limbs by rubbing against the hair to access skin, then smooth hair downwards. For more prolonged contact, wrap with moist brown paper and bandage. Repeat as necessary after 24 hours. To remove, hose off with water.